I know this a little overdue as I promised this a while back, but its here now so apologies for the wait! Some of you may have know that I have recently become a Sigma affiliate. I wanted to do this because I love beauty, and those of you who used to watch my Youtube channel will be well aware of that! Anyhow, the lovely people at Sigma were kind enough to send me one of their new travel size Kabuki’s from the Hollywood Glamour collection. 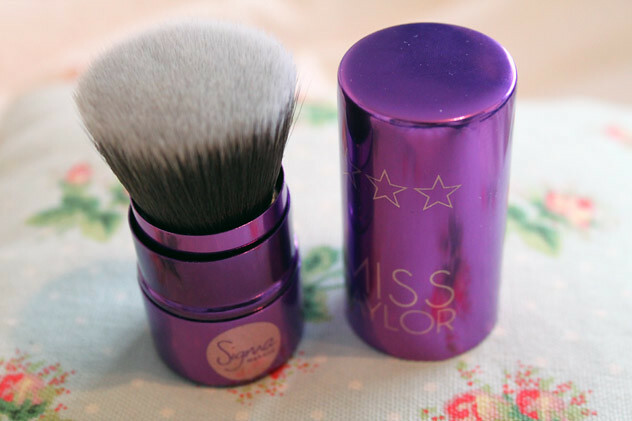 I was sent the purple Miss Taylor retractable kabuki, which is a flat top brush suitable for all sorts of products from liquid foundations to powders. I tried this out for a few days and can safely say I fell in love with it! I use it for my liquid foundation and buff it into the face. It gives a lovely finish and is the perfect size to use on the go. I was so impressed in fact, that I went ahead and bought the whole Complete Kit of brushes! My favourites have to be the F40 Large Angled Contour brush and the F60 Foundation brush. They are both really easy to use and I love the finish that they give. I’ve been washing these all with my Estee Lauder brush cleaner, and they have been washing really nicely too. As you can see you get a massive range of brushes in the Complete Kit. This costs $79.00, which works out at around £50.00, so it’s great value for money when compared with similar brushes such as MAC. I’ve got a few MAC brushes myself and I don’t see any difference in quality. They are just as good, if not better than the MAC ones I own. The only thing I will say, is with a couple of brushes, in particular the F50 Duo Fibre brush, I did experience a little shedding. However, it was only a little and not enough to put me off buying more of the range. I’ve already got my eye on the Synthetic Face Kit and the Small Contour brush to add to my collection. I can safely say I am a Sigma convert and will be using these brushes for a long, long time. – Tell me which Sigma brush you would most like to own. – Leave a contact email address. There will be no extra entries for tweeting etc, but if you would like to spread the word, please do! The competition will be open for one week, and will close on Thursday 30th June at midnight UK time. The winner will be chosen using a random number generator, and announced the following day. The brush I'd most like to own is the Flat Top Synthetic Kabuki – F80!! That a great giveaway!! The Sigma brush that I would most like to own is the F60 foundation brush. Oops, I think the excitement of the giveaway made me a bit illiterate, I meant to say 'that IS a great giveaway'. follow you via GFC and I would like to probably own the F40 Large Angled Contour Brush as I have been trying to find a decent brush for contouring and the fact that it is angled may just do the trick! Id really love to try the miss taylor kabuki! I love the synthetic face kit that I own! I would love to own the Sigma Flat top synthetic kabuki brush. great little giveaway! 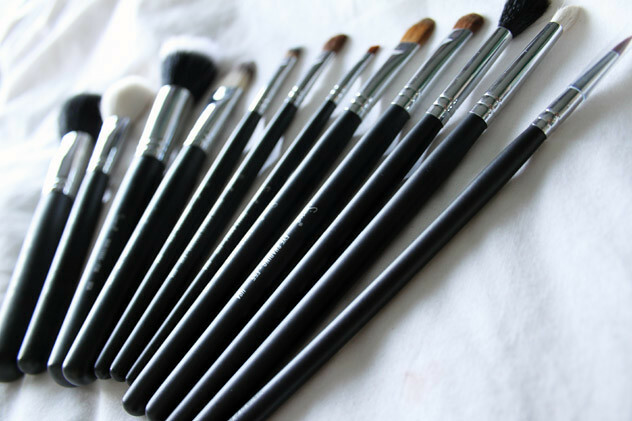 i never really use brushes to apply my make up and i should start, it always gives off a more flawless appearance as it sits on the skin rather than being rubbed into it. so, i quite like the concealer brush. I already own my favourite sigma brush which i wanted for ages and when i got it i fell in love the F80. Ooh I'd most like to own the F60 foundation brush! I'm forever trying to find a brush to apply foundation with that I like! I'd like to try the F30 large powder brush :). I'm a follower on GFC under the name Anka. Thanks for the giveaway, I would love to own all of Sigma eye brushes! My fave brush is F80…. E05 Eyeliner Brush, Because I am obsessed with liner at the minute! I follow through GFC, Holly. p.s I go to UCLan, small world!